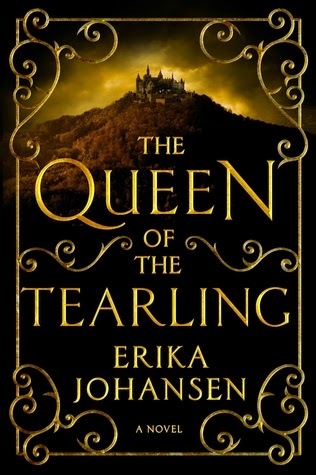 I was pleasantly surprised by how much I loved The Queen of the Tearling when I read it for the first time last year. It was the type of fantasy read that hit my sweet spot - complex characters, intricate plot, unique world-building, well-paced plot. (I talk about it with more detail in my review.) I knew I wanted to immerse myself in this world and story completely before I picked up the sequel, so I reread it - and found that I loved it just as much, if not more, than the first time around. I read this one in ARC form in 2014, as I'd managed to snag a copy from last year's BEA. In fact, it was a buddy read with Rachel! It took some time to get into the story, but then the turning point came and I was completely obsessed with finishing it. I mentioned it already, but I wanted a refresher on this story, these characters and this world. When it comes to fantasies, the names and plots can get pretty jumbled up in my mind because I read so many. So, in order to go into the sequel with a clear sense of what was going on, I thought it would be a good idea to reread this one. I really love this book. I mean, seriously, I remember liking it, but sometimes, I feel like time passing might change the way I feel. That was not the case! I really enjoyed diving into Kelsea's story once again, and experiencing everything as if for the first time. There were so many details I'd forgotten, and it was nice to be reminded of them. Plus, it was just plain fun to meet the characters I remembered for the second time! Oh, absolutely. When it's time for the third book to be released, I'm probably going to dive into this first book (and the second too) all over again. Kelsea's story is one that I think deserves even more attention, and I'd definitely not mind experiencing it - heartbreak and battle and joy - all over again. Going into a sequel is always a really anxious experience for me, because I want it to be just as good as, if not better than, its predecessor. But I worried for nothing over The Invasion of the Tearling. It blew me away! It gave me everything I wanted after the first book - further development of the world, a conflict-ridden and well-built plot and further growth (and complexity) in the characters I'd come to love. The world in these novels is something fresh, marrying medieval fantasy with modern day society in a way that I've never seen before. Even though it still catches me off guard now and again, the way Johansen has woven everything together is impressive. I was intrigued in the first, but in The Invasion of the Tearling, I was just impressed by how it all came together. We get a look at the past, at the time before the Tearling even existed, and it's a fascinating glance into its origins. Kelsea, fresh off the discovery of the immense power of her sapphires, has been having visions of the past through Lily, a character who lives in the era before the Tearling. These visions were confusing initially, but gradually, readers get to see how it all began, and how the Tearling came to be. By the end, these parts were something I craved to read, as I wanted to know more about strong, passionate Lily and the beginnings of this world Kelsea and company now lived in. Speaking of Kelsea, the girl is still as fierce as ever. She's in a seriously tough spot after having stopped the human trafficking deal with Mortmesne, which was basically an invitation for the Mort to start a war with the Tear. And to top it off, she has to fight off all the conflicts within her kingdom and home, from malcontents to turncoats to magical evil. But somehow, in spite of a few mishaps and mistakes, Kelsea holds her own. She manages to act with justice and wisdom, desperately trying to ensure that her people are safe and well-treated. Once again, I found myself in awe of her strength, determination and courage. However, Kelsea is not, by any means, perfect. She has a temper, and with the high stakes, it's fitting that she often experiences bouts of emotion. She's also young and relatively untried, and that tends to lead to rash choices and a lot of doubt. It is her precarious balance between the light and the dark that is most fascinating about her journey in this novel. It is especially obvious in her coping mechanisms (not all of which I necessarily approve of, by the way) that she struggles deeply, and I like that Johansen didn't hesitate to shine a light on Kelsea as she is -- even when it revealed something really dark. 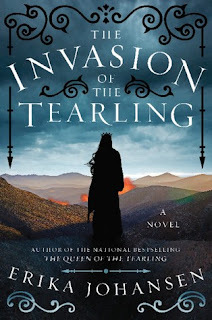 Though it did take a few chapters, I wound up completely immersed in The Invasion of the Tearling. Johansen deftly handles her cast and plot, writing twists and turns into her tale in a matter that feels effortless and organic. I had no idea how things were going to go down by the end of it. And once we hit the end, I simply wanted more! So yes, I highly endorse this sequel for fans of the first novel. It's darker, it's emotional and it's just one heck of a reading ride. I really loved reading The Queen of the Tearling! I even ended up book-pushing it to my mom who also enjoyed. I think I've been pretty much ready for The Invasion of the Tearling since I finished the first book but now I'm even more sure. So so excited to read it soon! Amazing review, Alexa! Oh, I have this and need to move it up the shelf since I do love fantasy. I'm happy that the second is just as good, if not better. Yes, you must! I really enjoyed both these novels, and think you will as well. Oh, I love that you got your mom to read it too! Can't wait for you both to read the second one - I'd love to hear what you think!